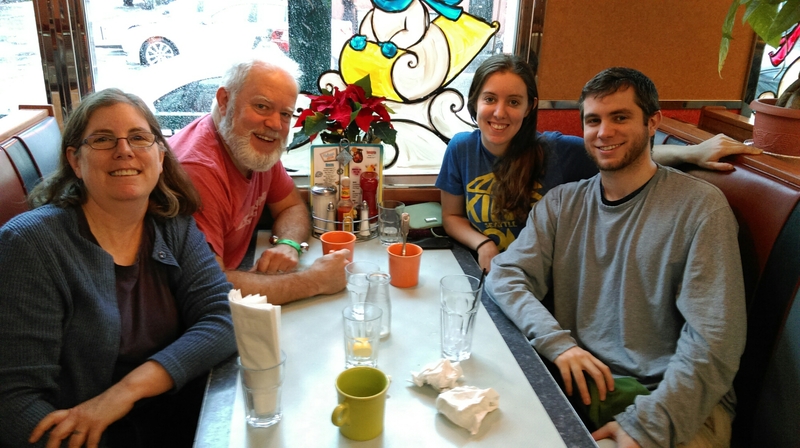 As usual, our vacations revolve around family. 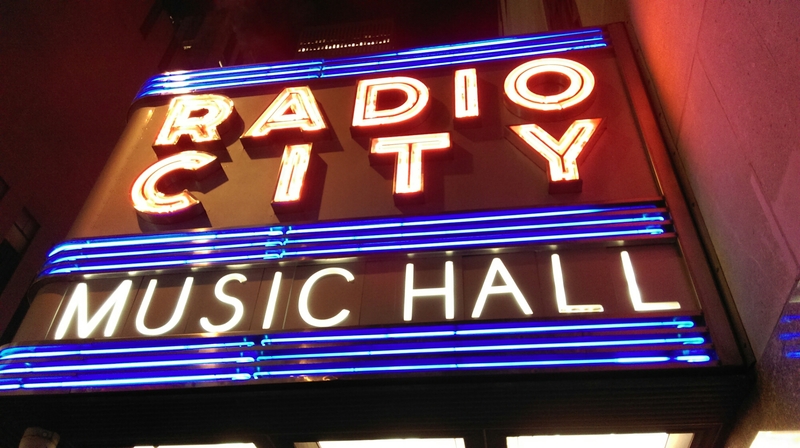 I am not complaining – this is a good reason to get out of town. We are partly to blame for moving so far away from immediate family about 30 years ago. But the kids have followed our lead and put many miles between our homes. University of Michigan Museum of Art – a nice walk their, around (museum legs) and back again. And we did not get lost on the return trip through the spaghetti bowl in which my parents live. Cottage Inn Pizza – and we had a bit of Pizza leftovers. I had my eyes on this for breakfast the next morning. However, a small car accident intervened (minor injuries only – but to my mother who could least afford them), and the pizza had to spend the night in the car at the collision repair shop. Luckily it was as cold as the refrigerator, so the leftovers were eventually liberated, and enjoyed by my father. Oscar Tango Porter (Olde Town with friends) – a walk down, fun with relatives and friends, and a nice ride back. 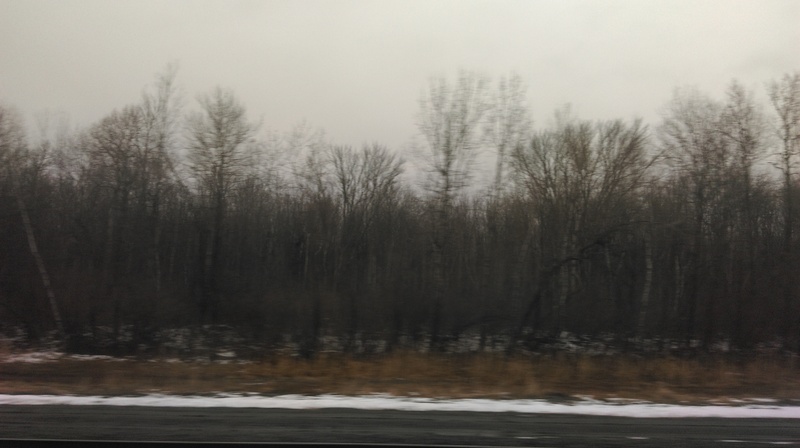 Amtrak – yes this was an adventure. Thanks to Liz for the late night drop-off, for the extremely early morning departure. (Note that the Toledo Amtrak station hours are 10 PM to 1 PM – in that order.) The ride was relatively smooth. A study in black, white and grey (per Carl). And then to end in Penn Station. Quite a shock of people, escalators, stairs, different tracks, signs, and finally retrieving our baggage successfully. Rey got to repeat the adventure in reverse as well. 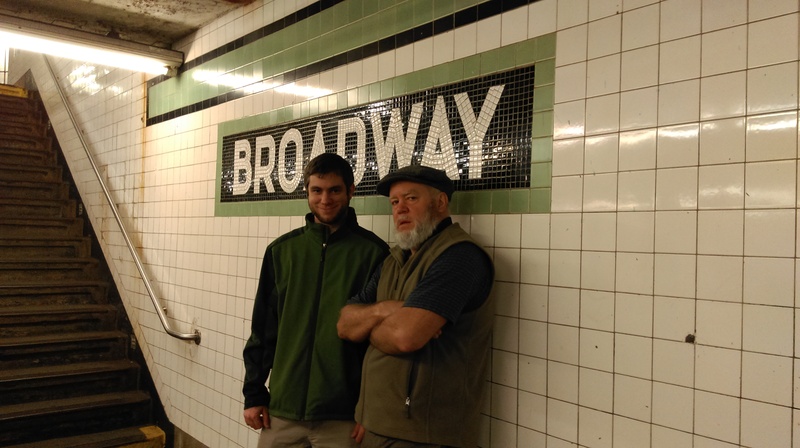 New York Transit Museum – this was underground in an unused subway station and really appealed to the building underground interest I always have. Cypress Hills Cemetery – sort of. We were outside of the cemetery, intent on visiting Jackie Robinson’s gravesite. However, it was the day of the internment of one of the Brooklyn police officers killed the previous week. There were many dignitaries, including Vice President Biden, so there was no getting into the grounds. American Museum of Natural History – we really only scratched the surface, focusing on the dinosaurs and pterosaurs. So much new knowledge since the kids were in their dinosaur phase. (I was convinced that Rey would be a paleontologist) And we were introduced to a modern day saur – the strollersaur. The strollersaurs have appendages that are used to attack heels and shins, and can be detached to use as blockades and detours for their prey to negotiate. 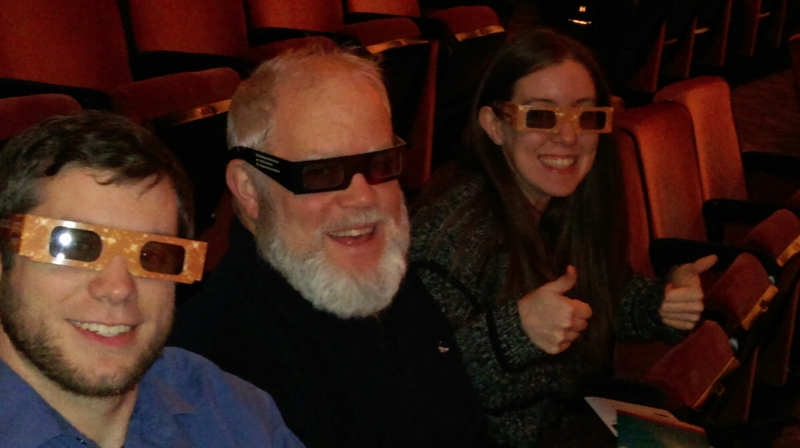 Rockettes Christmas Spectacular at Radio City Music Hall – with a 3D piece, of course. Precision – see previous post. 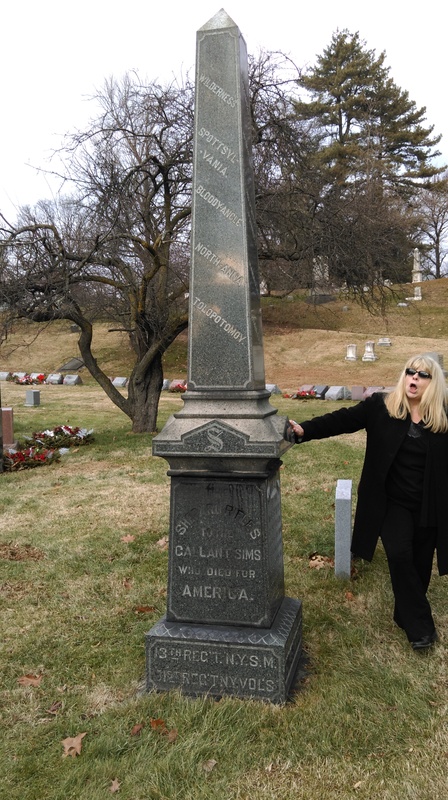 Green-Wood Historic Cemetery – we had this on the agenda for the Ebbet’s gravesite, but found so much more. 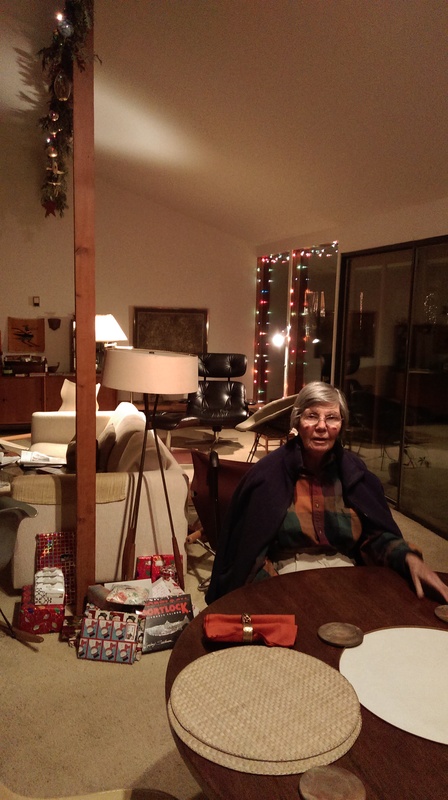 We took the hidden gems trolley tour, with Marge Raymond as our tour guide. She was excellent, and full of so much information. I would recommend this to anyone with an interest in history, and a trip to NYC in their future. Memorial to Samuel Sims died 1804 of the Shepard Rifles. 5 battles fought listed on the top part. Museum of Modern Art – There were many pieces of art worth seeing, including Van Gogh’s Starry Night. There were also some that begged the question of what defines fine art. Looks similar to some of Carl’s kids art ventures on large pieces of cardboard. 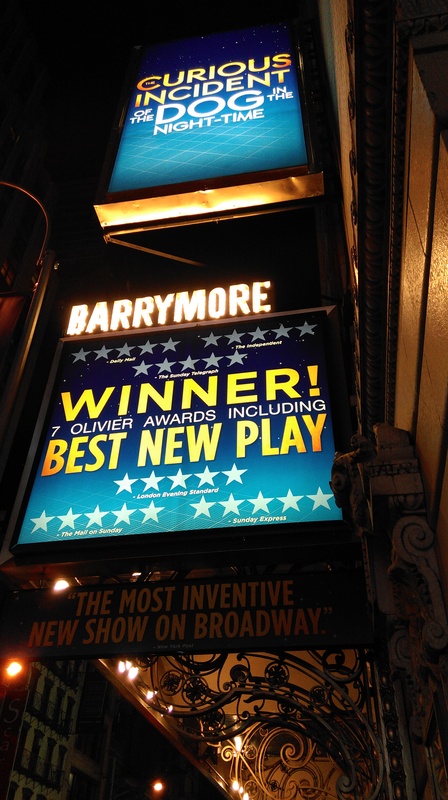 BROADWAY SHOW – The Curious Incident of the Dog in the Nighttime at the Barrymore Theatre. It was excellent. I had three shows to choose from and Ashlan chose this based on reading the book in high school. Great choice that I would recommend. Central Park – more than just touching the edge, we walked across twice. 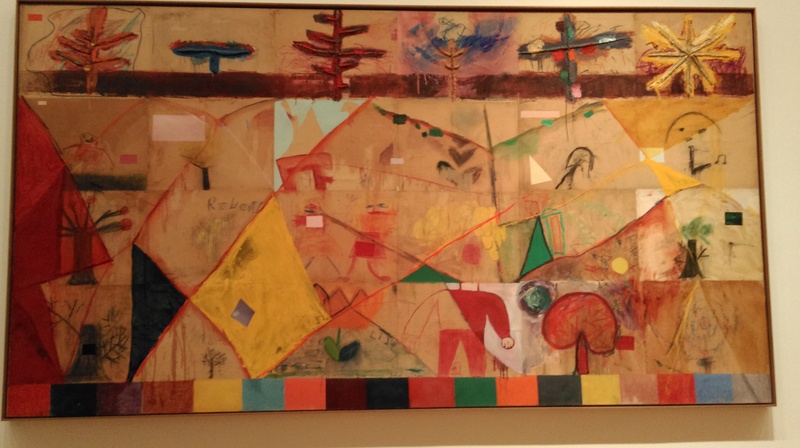 Guggenheim Museum – Loved their permanent collection pieces. Only found a few in their “ZERO” display that moved me. However, I think the making of this artwork was probably a lot of fun. Kellog’s Diner, Wild Ginger, Forcella La Pizza di Napoli, Hot dog stand, Iona, Levain (cookies), Halal food cart, Europa Café, Feile, Aba Turkish, and Potbelly Sandwiches. I may have missed one or two other stops along our way. Plus we did shop at Key Foods and made a few meals at “home” as well. 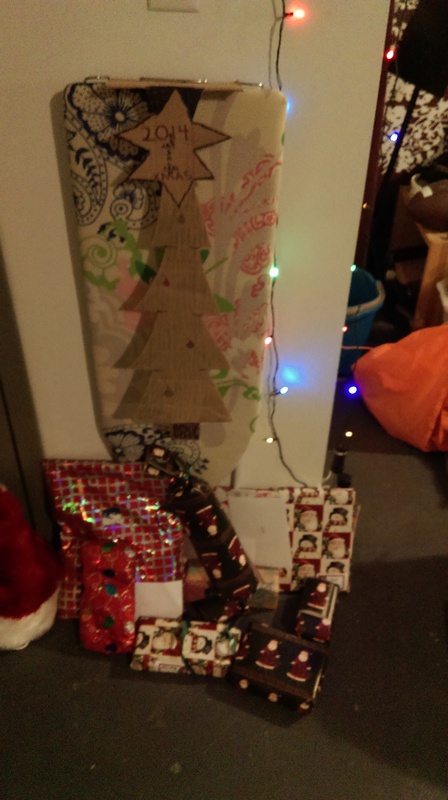 Christmas trees – since this was at Christmas. Is there a theme here? Not a “real” tree, but not quite artificial either. Transit is always important, and this fit the trains, planes and automobiles vacation. Plus taxi (one) and subways (many) and the final bus from Manhattan’s Port Authority to Newark Airport. As usual I was just getting comfortable with the subway maps when we left. 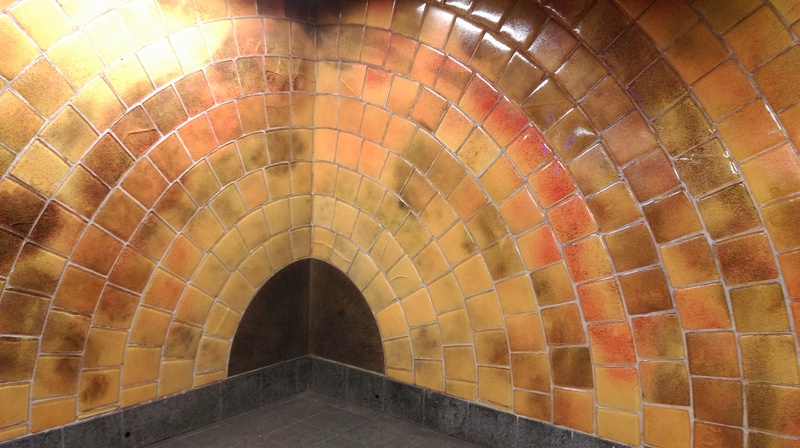 The subways are the go-to spot for tile work. In the end it is about family. My favorite moments were generally around the table, chatting about whatever. This entry was posted on January 4, 2015 at 1:57 pm and is filed under Uncategorized. You can follow any responses to this entry through the RSS 2.0 feed. You can skip to the end and leave a response. Pinging is currently not allowed. Looks like wonderful times with the family. I miss NYC a lot! LA hasn’t captured my interest at all, although the flight and weather are positives. Vicious strollers–ouch. I hate them. Dad was impressed with the number of museums you saw while in NYC. I am too, now that I can read what you did.